Ian Chen joins the cast of DC's Shazam! Fresh Off the Boat star will play Billy Batson's friend Eugene. Shazam! Heck yeah, we've got an Asian kid in this superhero flick. 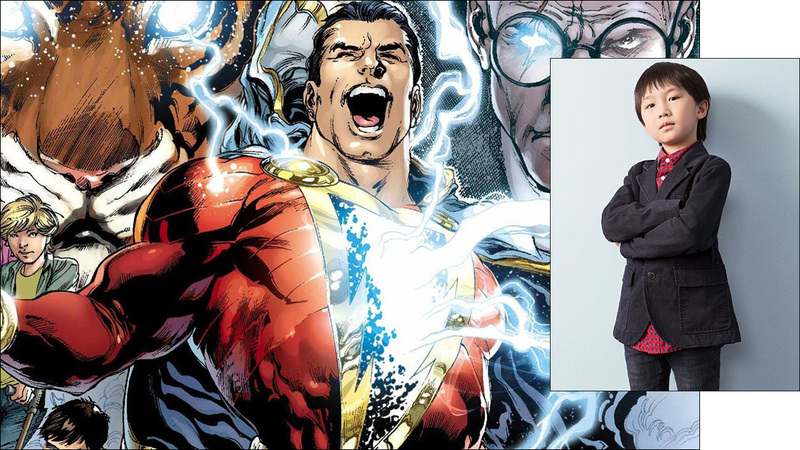 Ian Chen, who plays Evan on Fresh Off the Boat, has joined the cast of the movie Shazam!, based on the DC Comics superhero. Starring Zachary Levi as the title character and Asher Angel as Billy Batson, the film center on Billy, a kid who can transform into an adult superhero by uttering the magic word "Shazam!" Ian will play Eugene Choi, a friend of Billy's from a group home. The cast also includes Jovan Armand as Pedro Pena, and Jack Dylan Grazer as Freddy Freeman, who are all part of Billy's friend crew. There have been a couple variations of Eugene in the comic books. In the "Flashpoint" timeline, he and his crew become superpowered members of the Shazam family, and Eugene is granted the wisdom of Solomon. This may factor into the Shazam! movie, or perhaps a later film down the line. I certainly wouldn't mind seeing Ian Chen as a superhero. Directed by David F. Sandberg, with a screenplay by Henry Gayden and Darren Lemke, Shazam! is scheduled to hit theaters on April 5, 2019. In the meantime, you can currently catch Ian as the youngest Huang brother on Fresh Off the Boat, Tuesday nights on ABC.